The best movie of 2007. Period. Story-wise, it may not be much. It's a classic love story about boy meets girl, falls in love, loses her and gets her back again. There's no action or slapstick comedy, or even much CGI. 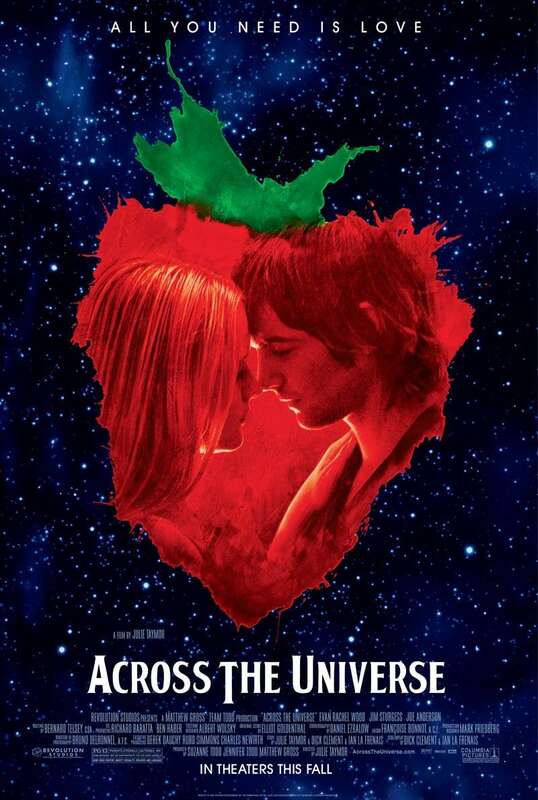 What the movie does best though, is take you for a magical mystery tour across the universe. It's a big musical, set in 1970's America where everyone was protesting the Vietnam War. And as befits a musical, the music has to be brilliant, and in this case, it's a hell of a lot more than brilliant. For one simple reason: the Beatles provided the soundtrack. Really, the movie is worth watching for the soundtrack alone. The jaded and much-cliched storyline comes alive to the sounds of I Want To Hold Your Hand, Dear Prudence, Oh! Darling, Let It Be, Strawberry Fields Forever, All You Need Is Love, Hey Jude and more than 30 other Beatles songs. What's more, the songs are used in interesting ways, like the LSD-tripping scene and the ingenious use of I Want You (She's So Heavy). Furthermore, the music is not the original version, but it is performed by the actors themselves. They did great justice to timeless and classic Beatles songs. So hats off to the actors and the Beatles for providing a brilliant movie with a brillianter soundtrack. The only thing I don't like about the movie is that many more Beatles classic songs were not used. But it's still a great movie. PS: The movie contains a lot of Beatles references. See if you can spot them all! Oh... a love story? Hehe i'll check it out if i have time. Can anyone download it for me to see? Maybe can come to my house to watch. Hahaha i also can't find that movie. Haha unless torrent. I took the trouble to go to cinema and watch. There were only 6 people in the entire cinema. 4 of them were my friends. Shows you how many people in Malaysia appreciate the Beatles. Oh....haha Hmm see la...if got source.. i want to watch too.. This movie is quite commercial, as commented by most viewers.